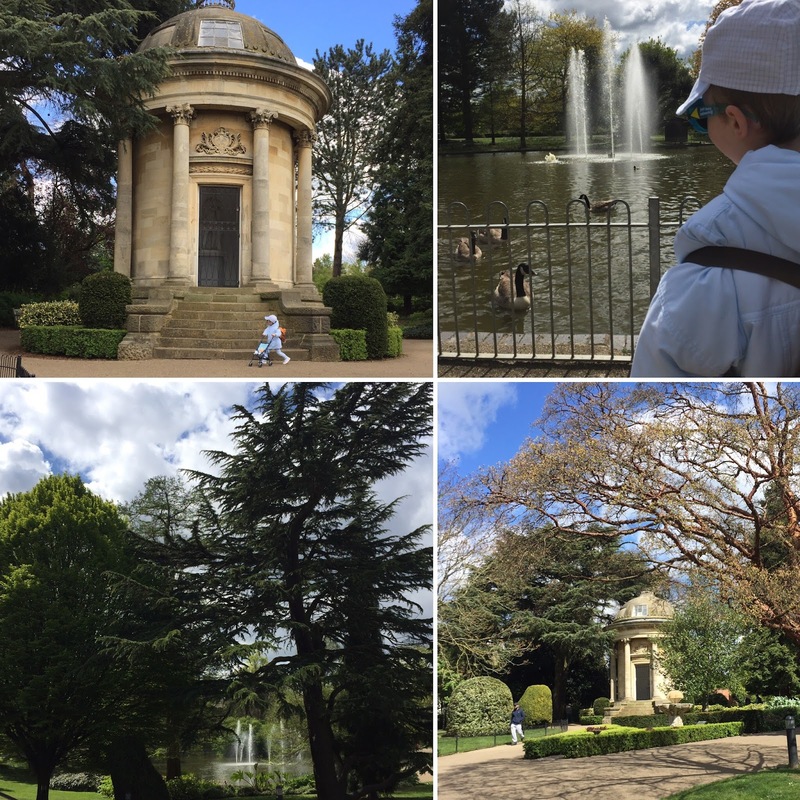 Britain’s favourite dynamic duo – me and my 3 year old son – spent the day in Royal Leamington Spa in the heart of England. By ‘favourite’ I mean ‘one or two people are fond of reading our adventures’ and by ‘dynamic’ I mean it is always a massive concerted effort on my part to go on the briefest and easiest of days out. Or even the corner shop if I’m really honest. 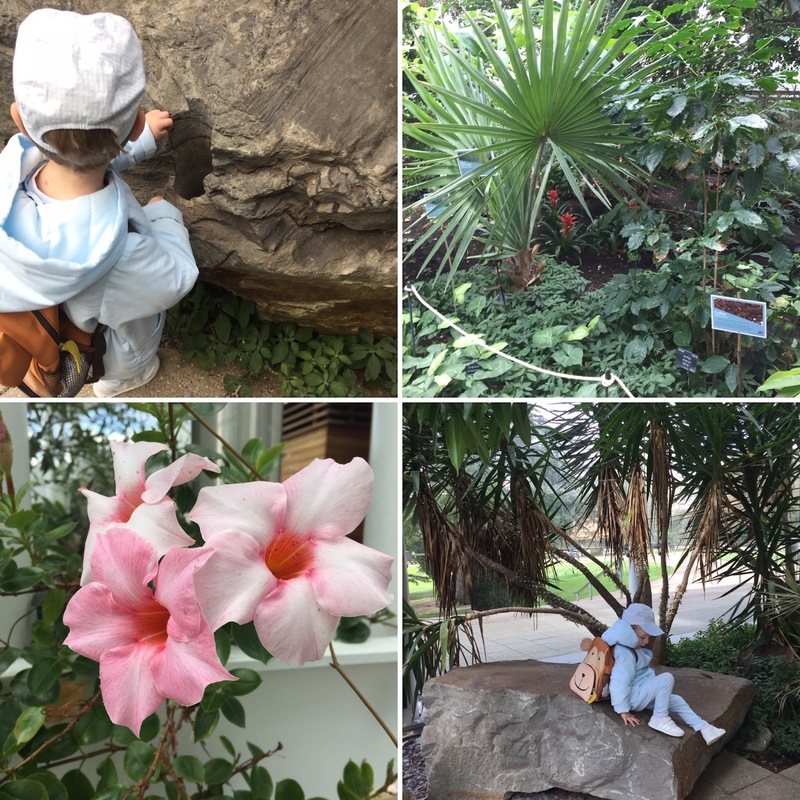 Instead of taking a true teenage trip down memory lane though, I was on official Mum Duty, and what’s more – trying to keep 3 year old Primo who is recovering from Chicken Pox, away from any disapproving glances or children who haven’t yet caught it. We hung out in the Pump Room gardens, home to an unloved and probably unused bandstand that’s seen better days (would be great to see bandstands make a real comeback wouldn’t it? And even build new ones!) and visited the small museum and art gallery inside the Pump Rooms themselves where the gentry would once have ‘taken the waters’ and attended balls in the town’s assembly rooms. The assembly rooms were shut, so all I had was my imagination based entirely on Jane Austen adaptations and a solitary poster advertising Ceroc lessons or some such dance class that puts me in mind of painful singles clubs for the terminally unfortunate. We crossed the road to Jephson Gardens and enjoyed nearly every inch of it. 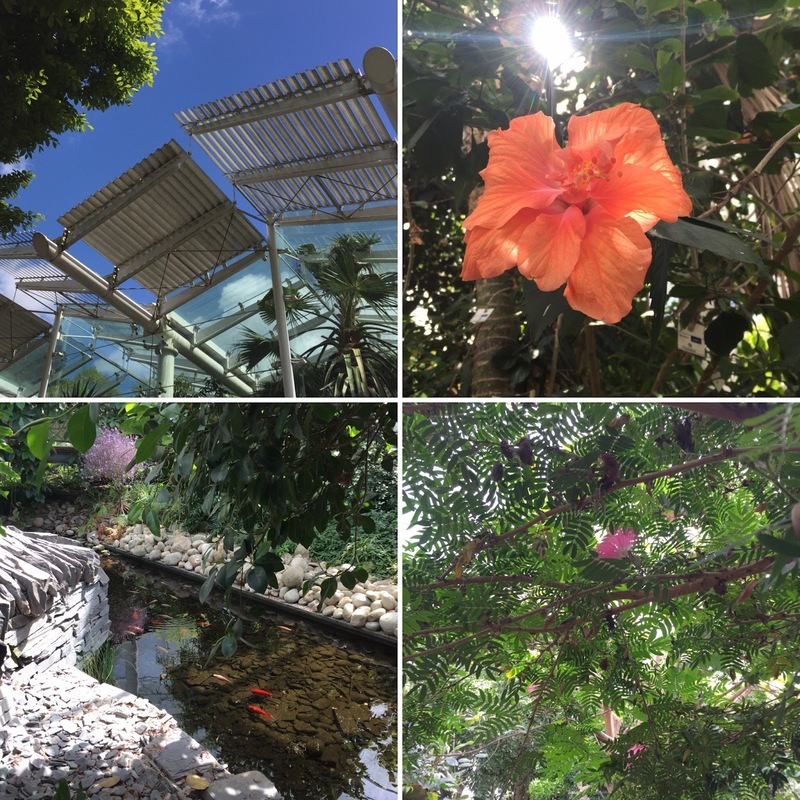 From the beautifully planted Victorian style flower beds to the purposeful sensory garden and wildflower patches, it really hit me how much work must go into maintaining somewhere like this. There were teams of gardeners tending to plug plants and hedges, winding paths, and sculptures made out of tree stumps. It was changeable weather so the promised picnic turned out to just be eating our sandwiches on a bench but it was lovely to watch the world go by and the soaring fountains which were surrounded by ducks, geese, and swans. 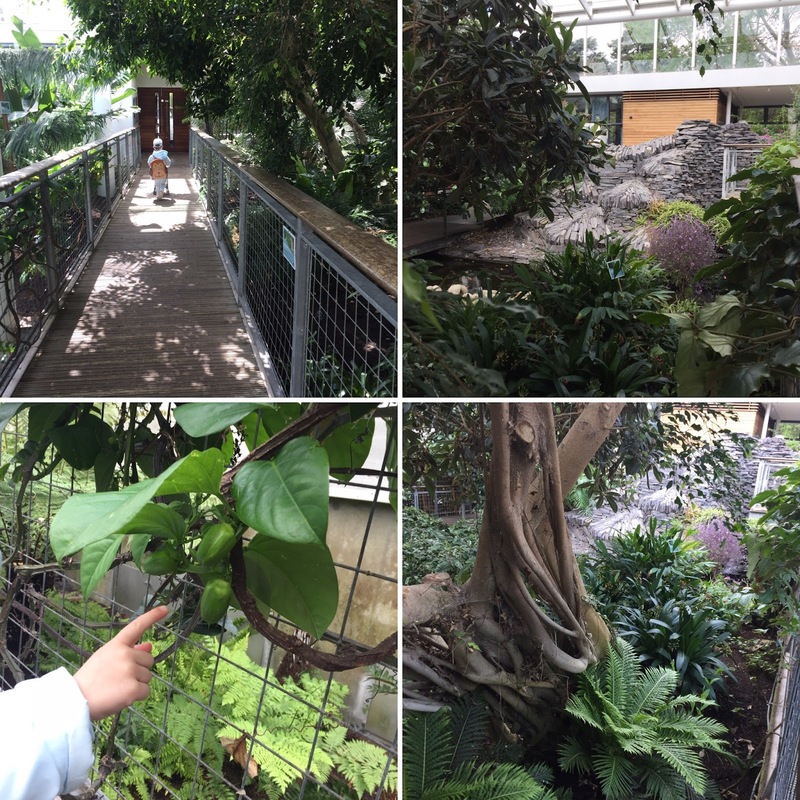 Primo loved the small Glasshouse with a little fishpond and trickling water feature, and beautiful tropical plants inside. The highlight of his trip, he will tell you, is finding a rock with a hole in so big you can fit your arm in. I’m sure the Royal Leamington Horticultural Society will be delighted that all their hard work was appreciated. When the sun went in it got a bit chilly, so I went to check out the Aviary Cafe in search of a hot drink. 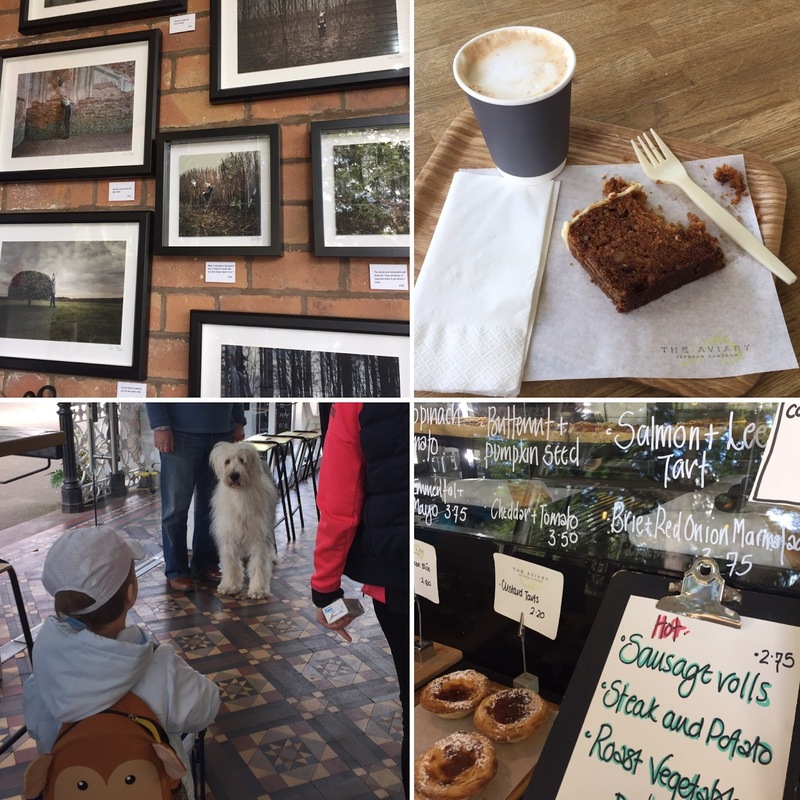 We shared a slice of carrot and walnut cake and I had a hazelnut latte and it came to about £7 which is a bit pricey but it was a cool place and the staff were friendly – as were some of the doggy customers which are always a hit with us! 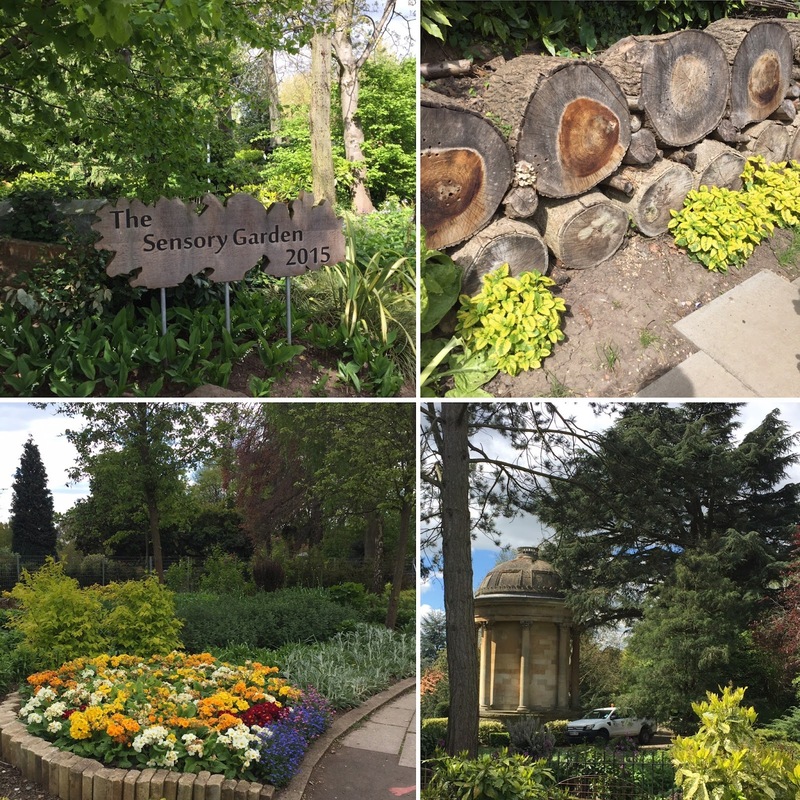 If you find yourself in Leamington Spa, there’s quite a few family friendly things to do for free and I would definitely recommend having a stroll around Jephson Gardens. You can feed the ducks, hire a boat on the river Leam, or have a picnic. They’ve actually got a few parks in the town itself so it’s like picnic spot heaven: the smaller Christchurch Gardens at the top of the main road (‘The Parade’) has tennis courts, as does the larger Victoria Park which also has a proper little old fashioned bowling green and skate park. On the edge of the town is Foundry Wood, created on the site of the old Ford Motor foundry which closed down some years ago. They run forest school events for children and even a woodland singing class! The town centre has a cluster of familiar family friendly restaurants in the pedestrianised Regent Court, such as Las Iguanas, Turtle Bay, Gusto and Nando’s. There’s also loads of fab independents to choose from as well. A little bit more time and money, and we could definitely hang out in Leamington Spa a lot more. Next Post Anne Frank’s House Amsterdam: Is It Worth a Visit?